Dennis Sepp played 3 league matches for Bradford City. He was under contract in the season 1997-1998. 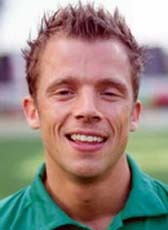 Sepp returned to his former amateurclub HSC'21 Haaksbergen. After playing at SC Enschedé, Sepp moved to Excelsior '31 for the season 2007-2008.